Friends with cool pads.. Superbowl!!! I watch one football game a year all the way through and that is Super Bowl. When Tom B is in it I am definitely rooting based on looks. 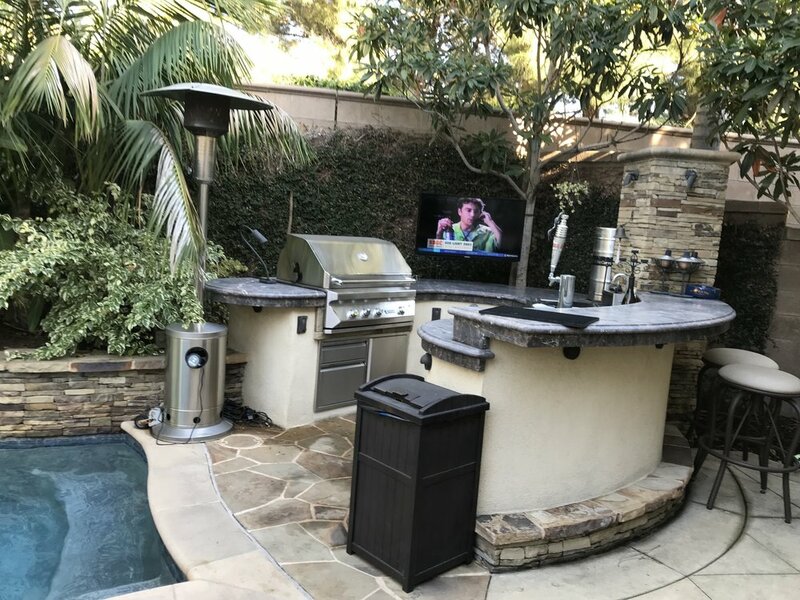 This year was another 85 degree afternoon in CA in the month of February so our friends threw down a pool side, back yard BBQ style. To prepare like the athletes I started with a moisturizing face mask. Have to hydrate my skin for time in the sun, cheering and hard work socializing. well I did not know the package was literal but yeah a koala mask. Party kick off with light snacks and some football squares. I took down Q1, Q2 and Final score. Whoo hoo, who's the winner! A retail opportunity with our own in house Girl Scout. Smart marketing on her part. Between quarters a friendly game of LCR (left center right) and ladies take both rounds. Our 2 chefs making magic with smoked brisket and ribs. yummy.